The HCDB "A" is a hydraullically actuated caliper disc brake that directly replaces existing drum brakes. Their overall size is similar to the drum brakes they replace. All of the existing hydraulic components (cylinder, reservoir, circuitry) remain unchanged. Simply remove the existing drum brake and replace it with a HCDB "A" caliper brake. The HCDB "A" is wear compensating. 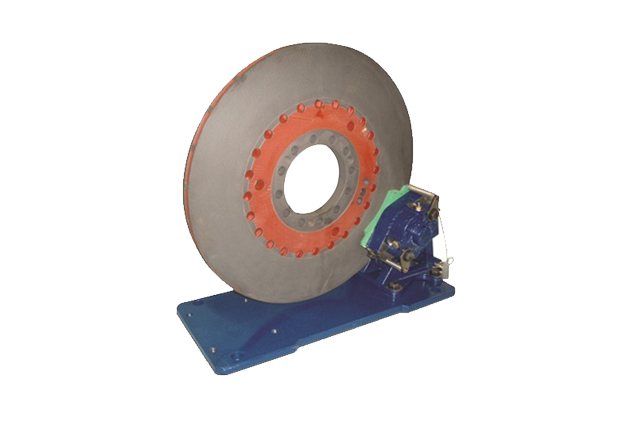 When released, the brake maintains a consistent operating clearance as the friction pucks wear. This gives the pedal a short and consisten stroke. Whe the friction pucks wear out, replacing them is quick and easy. Designed specifically for the North American Metals Market, the HCDB "A" fits into the existing available space. The brake assembly tucks under the disc so that it does not protrude. Its unique design allows the caliper assembly to accommodate misalignment and axial movement.